These six trios by Joseph Haydn were issued by the Simrock Publishing House in ca. 1804, that is to say, during Haydn’s lifetime. 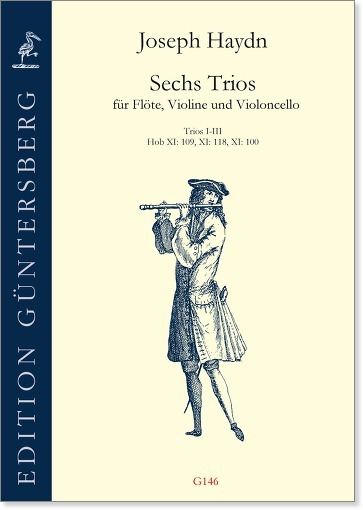 They are transcriptions of selected “Barytontrios”, which Haydn had written some thirty years earlier for baryton, viola, and violoncello. 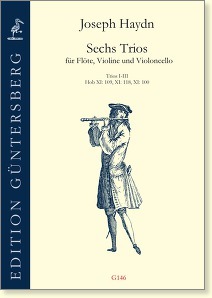 A very fine recording of these trios by the Kuijken brothers has been available for a long time; it shows that Haydn’s baryton trios are so universal that an arrangement for other instruments is in no way detrimental to their musical value – but, on the contrary, allows them to appear in an entirely different light.